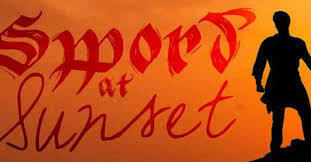 Sword at Sunset: the full play on Youtube! We thoroughly recommend the production, but catch it while you can, as today (Friday 28th February) and Saturday (1st March) are the last two days you can see it. Go see! 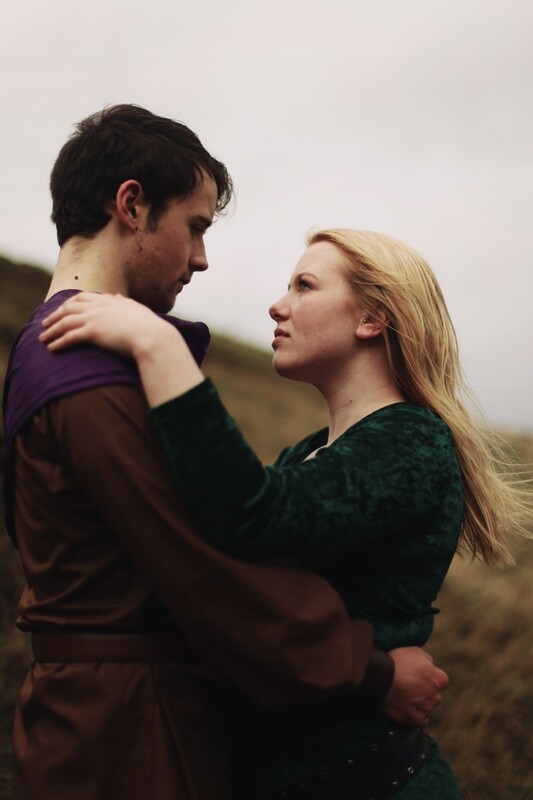 Tickets are now on sale for the play adaptation of Rosemary Sutcliff's book! Tickets are available via the Bedlam Theatre's website. Me and Sarah (plus husbands) will be attending the perfomance on Wednesday 26th February; if you're intending to go then too, please drop us a line if you want to meet up and enthuse about the play and Rosemary Sutcliff! Currently on Amazon UK the CDs can be picked up for as little as £10.40, plus £2.80 postage. Unfortunately UK residents aren't able to downloand the audio version anywhere - as far as I can tell. North American listeners are lucky to be able to do so, following the link above. Sarah found this on her travels in the Web: Two Worlds Meeting: Cultural Interaction and Rosemary Sutcliff's The Eagle of the Ninth by Jessica Cobb is a thesis submitted to the University of Birmingham for an MPhil in 2012. It is online in PDF format and can be downloaded from here. Happy reading! 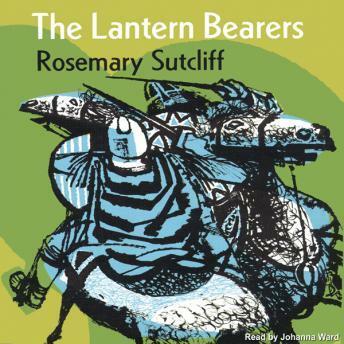 Rosemary Sutcliff, OBE, FRSL, historical novelist and author of many books for children, died on July 23 aged 71. She was born at West Clandon, Surrey, on December 14, 1920. IN THE decade following the second world war a generation of writers and illustrators came to the fore who brought new lustre to the making of children's books. Rosemary Sutcliff is among the greatest of these, despite, or perhaps because of, her concentration on a fairly narrow field of historical writing. Novels such as Simon, set in the Civil War, the Elizabethan Brother Dusty-Feet and the Bronze Age Warrior Scarlet were the result of meticulous research and designed to appeal to children and adults alike. 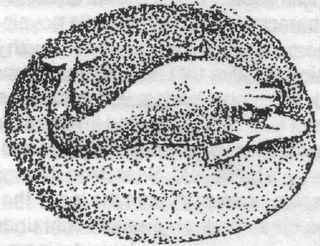 She was particularly at home in the period when the Romans were leaving Britain to the depradations of the Saxons and the Vikings, the Sea Wolves, as she called them. Rosemary Sutcliff was born into a naval family (her father, George Ernest Sutcliff, rose to become Commodore of Convoys during the war) but the itinerant childhood which this entailed was further complicated by early illness. At the age of two and a half she contracted Still's disease, and the unstoppable progress of this painful and debilitating form of juvenile arthritis necessarily dominated her growth to maturity. Over the years she travelled with her parents from dockyard town to dockyard town and, although she attended schools intermittently, much of her education took place at home or during spells in hospital. These early years were recalled by her in her typically frank but witty memoir Blue Remembered Hills (1983) where she notes that ``the only subject I was any good at was art" which resulted in her going, at the age of 14, to the Bideford School of Art, where she took a full three-year course with considerable success. Her parents, however, dissuaded her from attempting large-scale painting, and after she had gained her diploma she began to develop a career as a miniature painter and was a lifelong member of the Royal Society of Miniature Painters. Rosemary Sutcliff's mother whose presence was recognised by her daughter as being profoundly influential had also encouraged her to a love of reading, not least through her own devotion to story-telling and reading aloud. Kipling was a particular favourite and, during the war years, Rosemary Sutcliff began to turn her attention to writing as an even more tractable occupation than miniature painting. She experimented with a Kipling-esque epic called ``Wild Sunrise" which she later said, with a sigh of relief, ``sank without trace". Nevertheless, she persevered with further ideas for stories set in the past and eventually, at the request of the children's department of Oxford University Press, she prepared a manuscript of The Chronicles of Robin Hood which was published, alongside her first story, The Queen Elizabeth Story, in 1950. There is little in these early works that was to suggest the breakthrough that came in 1953 with Simon, with its Civil War setting, and in 1954 with Eagle of the Ninth, a tale of the Romans in Britain, which was directly inspired by Puck of Pook's Hill. In these two books her gift for imagining herself back into an historical period came to maturity and revealed her ability to give graphic life to a past age and to recognise the constant dilemmas posed by the need to make responsible decisions. Families divide but conscience must be followed; loyalties exact hard penalties. 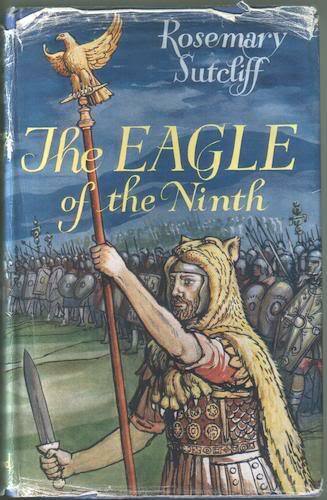 Eagle of the Ninth brought Rosemary Sutcliff nation-wide fame partly through a highly successful serialisation on BBC Radio's Children's Hour (She once heard a child making a sand-castle say ``I'm building a temple to Mithras"). More importantly though, it led her to a sequence of powerful novels in which she refined her skill at integrating the story of an individual into an intensely imagined historical setting. 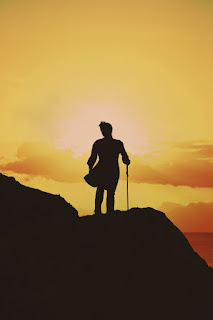 Several of these novels are linked through subtly suggested family connections, and the use of a ``dolphin ring" (eg The Silver Branch, 1957; The Lantern Bearers, 1959; and Dawn Wind, 1961) and these culminated in her Arthurian novel, published for adults, Sword at Sunset (1963). Other stories stand to one side of this sequence, either through being set in a different period, such as The Shield Ring (1956) an heroic tale of Vikings defending their Lake District redoubt against the Normans, or through the psychological force of the story, as in what many regard as her masterpiece The Mark of the Horse Lord (1965). This book like several of its predecessors gained a further dimension through the strong and closely integrated illustrations of Charles Keeping. Rosemary Sutcliff was from the first insistent upon the importance of research into facts and into past modes of thought as a foundation for her historical novels and this gave rise to her writing some evocative books of historical description, such as Houses and History (1960) and some versions of myth, such as Beowulf (1961). She also wrote several other novels for adults and a group of short, individually-published tales for young readers. Almost all this extensive output was distinguished by a vigour of writing and a detailed apprehension of the landscape of the past which showed her triumphant success in overcoming the crippling physical disabilities that had been with her since childhood. The perseverance, balance, and sanguine humour exhibited by many of her heroes were hers as well. She was an inspiring and most companionable spirit. She did not believe in shielding children from sad or dreadful happenings but felt a responsibility to point out a path, a right way of doing things and a hope for the future, the triumph of civilisation against barbarism. Children, she believed, were capable of understanding intuitively rather than literally and would come back eventually to what they did not understand the first time. The extent and depth of her research can be judged from the bibliography for The Lantern Bearers which lists 30 books with Sir Arthur Bryant and Sir Mortimer Wheeler rubbing shoulders with Gildas and Nennius and books on Jutland, Celtic Christianity and monasticism. Denied by her arthritic condition most domestic pleasures she worked constantly from mid-morning until nightfall on her writing, sometimes completing three books a year. Rosemary Sutcliff's achievements did not go unrecognised. She gained a number of awards for her children's books, including, in 1960, the Library Association's Carnegie Medal for The Lantern Bearers. She was appointed OBE in 1975 and was a fellow of the Royal Society of Literature. The Secretary of State for National Heritage was represented by Mr Vaughan Rees at a memorial service for Miss Rosemary Sutcliff held yesterday at St James's, Piccadilly. The Rev Ulla Monberg officiated. The Rev Peter Trafford and Mrs Sarah Palmer read the lessons, Ms Jill Black and Mr Anthony Lawton, godson and chairman, Sussex Dolphin, read from Miss Sutcliff's works and Mr John Bell from the works of Kipling. Mr Murray Pollinger, principal, Murray Pollinger, and Mrs Penelope Lively gave addresses.